If you are like me, there was a time when you really struggled doing Internet research that would help to promote your products. Yet, you watched other companies succeed at doing it. For me personally, that was before the turn of the century. But, the fact remains that I do remember those days and I know that people still transverse those challenges today, as they begin on the Internet. Let’s look at the example at this page: KicksUSA (“The History of Nike KD Basketball Shoes”). I love the way this marketer was able to include so many different details in this curated article. 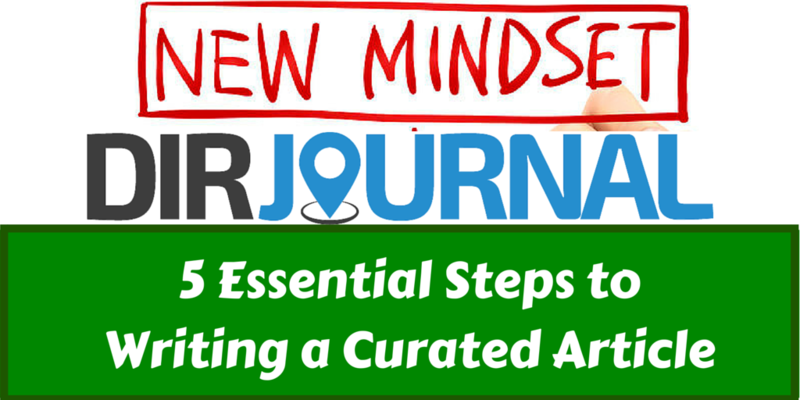 While it may seem difficult to write a curated article, if you follow a simple five-step process it becomes much easier. What looks like an impossibility, become possible when we break it down into “doable” steps. Sidebar: This is not a new idea and according to an “old” article on Mashable, it isn’t going away. I think the time between the 2010 article and today proves that point. Beware: The article is old enough that the video player doesn’t work, but hey, it is still a viable and relevant article. The first step to developing a curated post is to focus your research on one aspect of a product. While KicksUSA could have looked at Nike’s entire shoe line, they focused on just KD basketball shoes. The next step is to look through at least the first page of results on Google and see what others are saying. While you are gazing at these links, start creating a flowchart of how you want to connect the ideas together. As you are working, also start to create a list of keywords that you may want to use in the article. While many writers take copious notes, the key is to use just enough of those words to capture the essence of the idea, as this forces you to create new ways of saying things. If you look at the KicksUSA article again, you notice that this blog post has several essential elements. The first thing that this post does very well is to hook the reader so that they want to learn more about the topic. Then, it moves on to telling a compelling story. I love the way that the writer weaves details into the story. Finally, the post is very authentic. You can just feel this writer’s passion for these athletic shoes. This piece has a logical order that moves the reader easily from one piece of information to the next. While this is easy with this piece because it is based on one player’s career, every blogger needs to find a logical approach that allows the reader to follow them down a path. I love the way that the writer laid out each premise clearly, provided evidence for each premise, and provided a conclusion for each of their examples. I really appreciate the way that this writer wrote with authority. As you read the article, there is no doubt that the person knows the subject. Writing with details that are hard to find on the Internet is a great way to not only educate the reader, but create an authoritative voice. After all, customers want to do business with an expert. Each block of data contains an image that helps the viewer see the details of the paragraph. When choosing images for your own blog, look for images that create an emotional tie with the viewer, because people respond, based on emotions. Additionally, look for photos that create a curiosity within the viewer, encouraging them to want to know more. What have you learned? Are you already implementing these techniques in your writing? Great! Please do share your masterpieces with us, in the comment section. When Is Too Much of a “Good Thing” Detrimental to Your Success?